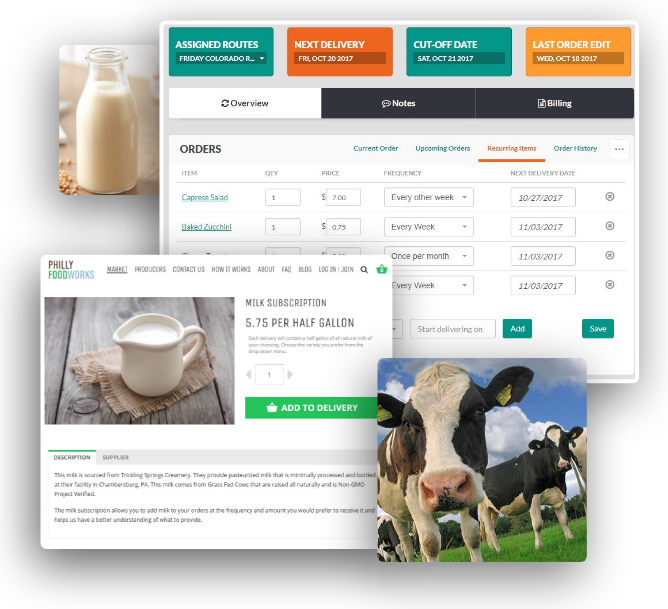 Our suite of tools for home and commercial dairy delivery is unparalleled with a full service customer marketplace frontend allowing order edits, recurring items, automatic intelligent route assignment, and billing built right in. Our routing software even allows drivers to respond to order changes on the road. If you've got milk bottles, coolers or milk crates that need to be returned from the customer, our dairy deposits system will keep you organized and able to track who has what outstanding items. This is just one way DBP is leading the pack in industry-specific dairy delivery software. "The backend of the site gives me visibility into where my company is going day to day. I wouldn't know how to run this business without the amazing software at Delivery Biz PRO." 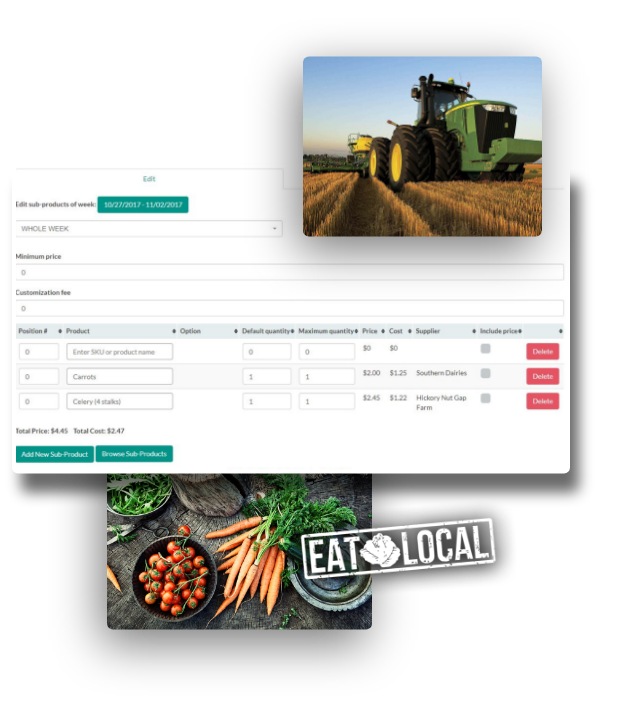 Our base software for residential or commercial produce and grocery delivery and pickup of farm fresh produce is second-to-none in the industry. A professional customer facing marketplace allows for automatic intelligent route assignment, collection of payment method, shopping, marketing, and account management functions - as well as the ability for customers to edit what's coming in their produce box for the week and shop for one-time items to add into upcoming deliveries. These features make Delivery Biz PRO one of the best grocery delivery softwares on the market. 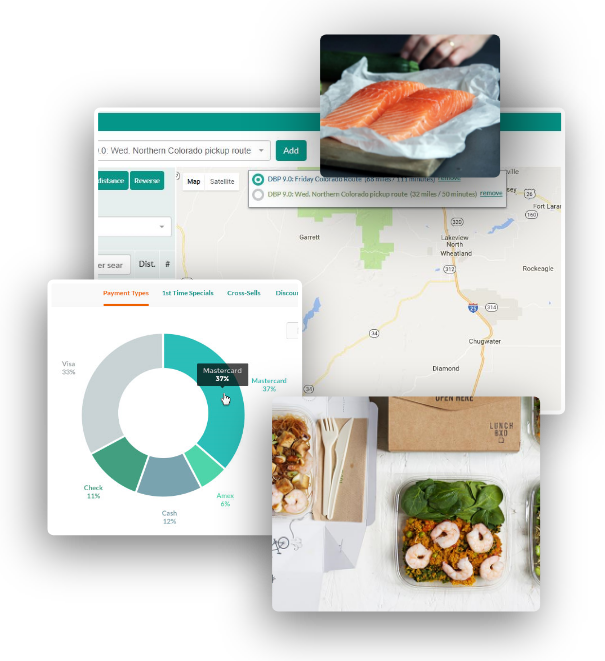 With several produce box methodologies to choose from, we can help you determine what will be most successful for your customer base and share our experience in the delivery software industry. "Hiring DBP to handle our software needs was the best move we could have made for our business. It has allowed us to grow our routes, our customer base and our product offerings." 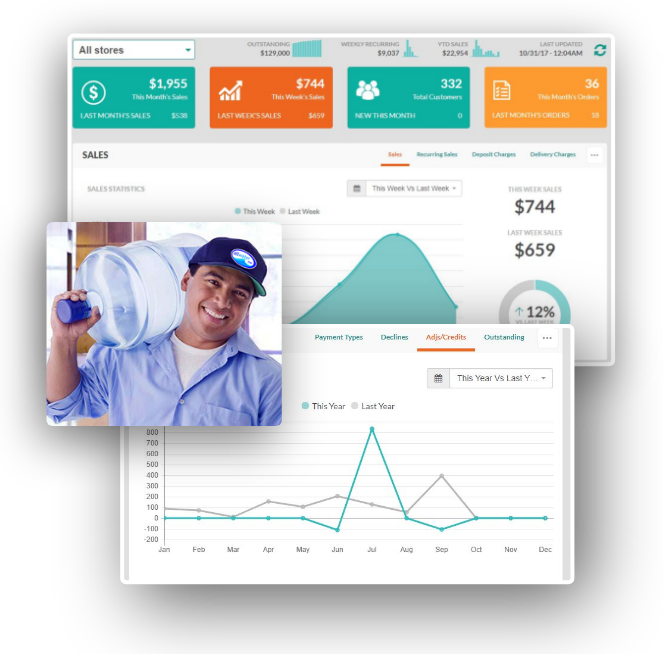 Water delivery is one of the largest growing markets in the world - if you haven't optimized your company with Delivery Biz PRO's revolutionary toolset, you're missing out. Let customers register themselves and be automatically assigned to a route - establish their own order and frequency, set skip delivery dates, and view all of their own accounting online. With our ordering, delivery, and routing software management, your business can run smoothly. Automated billing, optimization of routes, a driver app to fulfill orders on location - all the tools and data are at your fingertips with our water delivery software. Doing commercial/wholesale delivery? No problem - create as many different price points as needed and offer consolidated ordering views. The name of the game is routing efficiency and putting as many items in that basket that you deliver to every customer. Delivery Biz Pro helps Fresh Harvest accomplish this on a weekly basis. Hiring DBP to handle our software needs was the best move we could have made for our business. It has allowed us to grow our routes, our customer base and our product offerings. The backend of the site gives me visibility into where my company is going day to day. I wouldn't know how to run this business without the amazing software at Delivery Biz PRO.